First thing I noticed about this cider when I opened the bottle was it's lovely fragrant pear and floral aromas . And in keeping with other Small Acres Cyder products, this one has a nice level of sophistication. Pale and clear with a very fine carbonation and balanced sweetness, this cider is similar to a good dessert wine, without being sugary. It is definitely a great alternative. 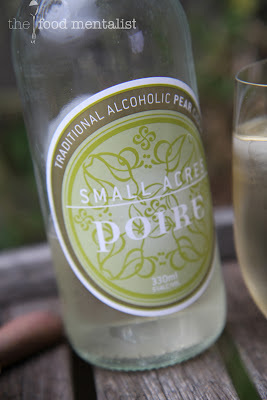 As far as pear ciders go, this one is made with 100% fruit and does not contain any artificial colours or flavours - it's definitely one of my favourite Australian Pear Ciders. 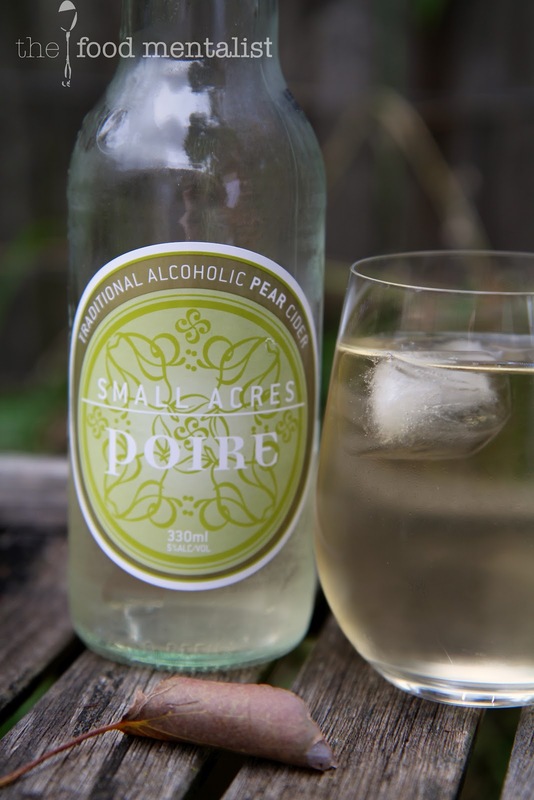 With very little acid, this cider will appeal to the majority of mainstream cider drinkers and after talking with the cider makers at Small Acres - their brief was just that. When paired against other commercial pear ciders this one definitely stands out. 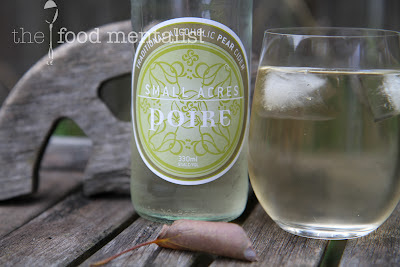 Overall, a fantastic pear cider! This one will pair really well with a great cheese platter and/or fruity dessert. The Food Mentalist purchased Small Acres Poire for $5.00 (330ml) at the Country & Regional Living Expo at Rosehill Racecourse. To check out other Small Acres Cyder products check out my other posts on the right hand side.